Cinema for kids? Welcome to HOPSTERWOOD! It’s that time of year again! The stockings are hung by the chimney with care, the children are nestled all snug in their beds and as the old poem goes – who knows what to do between Christmas and New Year? Well, we’re making your life easier this year: join us in our nationwide event HOPSTERWOOD – cinema for kids! We’re bringing 3 of the nation’s favourite characters, Louie the rabbit, Yoko the ladybird, and Lucy the adventurer, to the big screen. 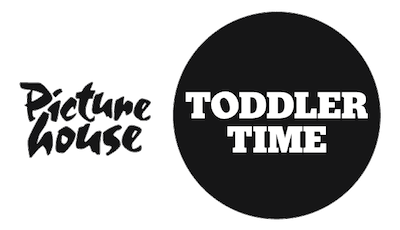 As part of these special Picturehouses Toddler Time screenings up and down the country, tune in to a beautiful selection of special winter episodes. Club Hopster Members get tickets on the house! At Hopster, we’re all about making screen time good for you and your family. When you join Club Hopster, you don’t just unlock access to all our great kids TV shows and learning games, you also join our community of subscribers – and we work really hard to reward you for your loyalty and support. To say thank you this Christmas, we’ve managed to nab 25 free tickets per screening, and if you’re a registered subscriber, you should’ve received an email with your special promotional code. If you haven’t, email us on help@hopster.tv and mention HOPSTERWOOD – we’ll then check that you’re subscribed and ping you your voucher code. 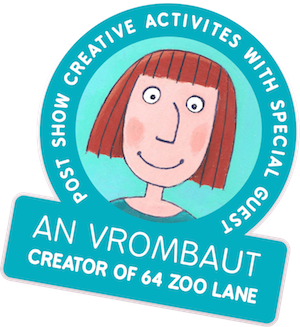 A special HOPSTERWOOD session will be taking place at Hackney Picturehouse on 30th December at 11am, with a chance to meet renowned 64 Zoo Lane creator An Vrombaut. An will lead a creative activity after the screening to keep the little ones amused. Attendees will also be entered into a free raffle, for a chance to win a dedicated and signed original artwork by An Vrombaut, created especially for this HOPSTERWOOD winter screening! How do I get tickets?? Admissions to the screenings are free for Hopster subscribers with your special code. If you’re not a subscriber, the general public tickets are priced at £3 per child and adults go free! Tickets can be purchased online at the Picturehouse Toddler Time website.